Puducherry lies in the southern part of the Indian Peninsula. The areas of Puducherry district and Karaikal district are bound by the state of Tamil Nadu, while Yanam district and Mahé district are enclosed by the states of Andhra Pradesh and Kerala respectively. Puducherry is the 29th most populous and the third most densely populated state/union territory in India. It has a GDP of Rs.0.21 lakh crore (US$3.1 billion) and ranks 27th in India. Puducherry district (inside Tamil Nadu), Karaikal district (inside Tamil Nadu) and Yanam district (inside Andhra Pradesh) on the Bay of Bengal and Mahé district (inside Kerala) on the Arabian Sea. All four districts of Puducherry are located in the coastal region. Five rivers in Puducherry district, seven in Karaikal district, two in Mahé district and one in Yanam district drain into the sea, but none originates within the territory. 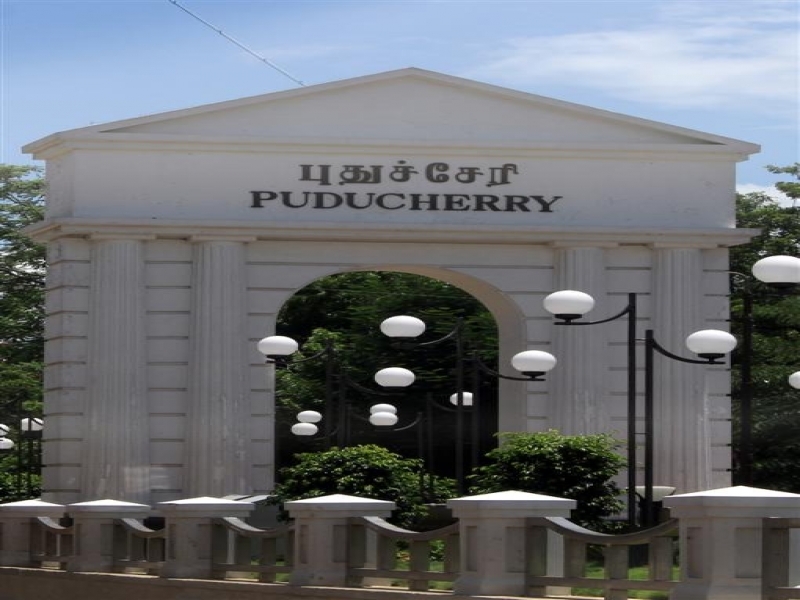 Puducherry is one of the most popular tourist spots for national and international tourists. There are several temples, churches, monuments, parks and mosques which attract tourists. Hinduism is the major religion with 87% of the population adhering to it. Other religions include Christianity (6.2%) and Islam (6%). Puducherry is connected by a railway branch line from the five-way junction at Viluppuram and Chennai. The railway line is a broad gauge line. Puducherry has a network all weather metalled roads connecting the territory. Puducherry has a road length of 2,552 km (road length per 4.87 km2), the highest in the country.